The combination of freshness and beauty signifies the arrival of spring. Who knew wine glasses can be used this way? It's cherry blossom season here at the Northwest - though Vancouver is quite far from Japan in distance but the similar latitudes have provided a nice environment for these beautiful flowers to blossom. In Japan, sakura season is celebrated with all sorts of unique products - jellies, jams, marinated flowers, and even McDonald combos (which I must try if I get to go to Japan one day). After seeing lots of flowers fallen on the ground, I had a thought: why not turn them into something "useful" rather than letting them wither in the dirt? So here's my way of recycling/preserving these pretty flowers. 1. 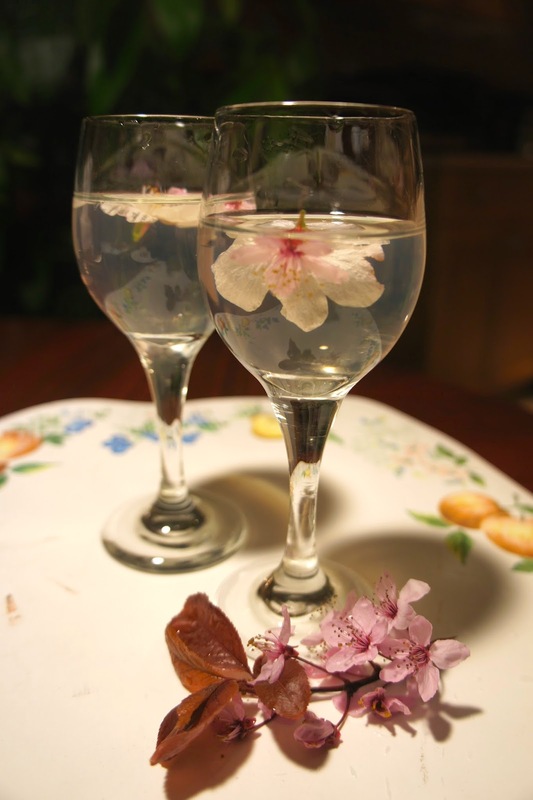 Wash the sakura flowers, be careful not to rip any of the pieces. 2. Put the washed flowers on a paper towel and lightly pat dry. 3. Add the sugar to water, mix and let the water boil. 4. When the water is cooled to lukewarm, dissolve the gelatine powder in and mix until rarely any granules can be seen. 5. Pour into wine glasses, plastic cups, or your own jelly moulds. Add a pieces of flower in each cup. 6. Refrigerate for 2 hours or overnight and serve. 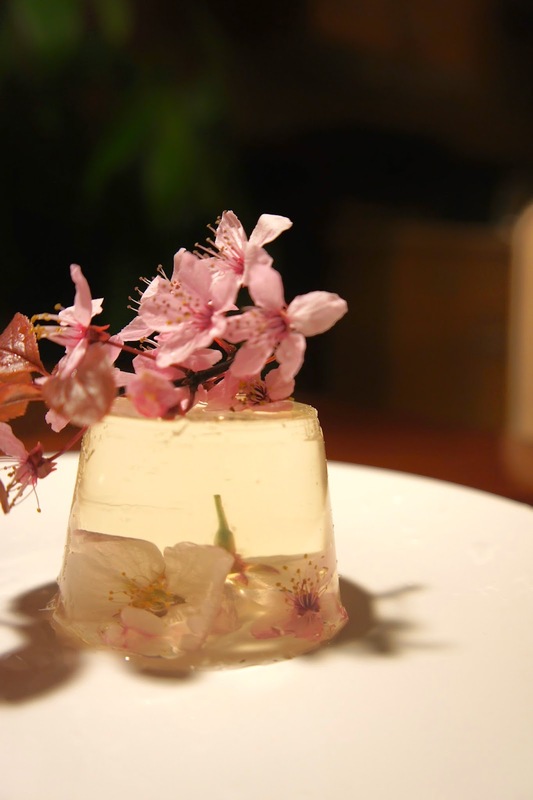 NOTE: Traditionally, sakura jellies are made with salt-marinated flowers. Since I don't know where to find these in Vancouver I just used fresh ones. Feel free to use the salt-marinated ones if you can find them, I heard they taste better(? ).